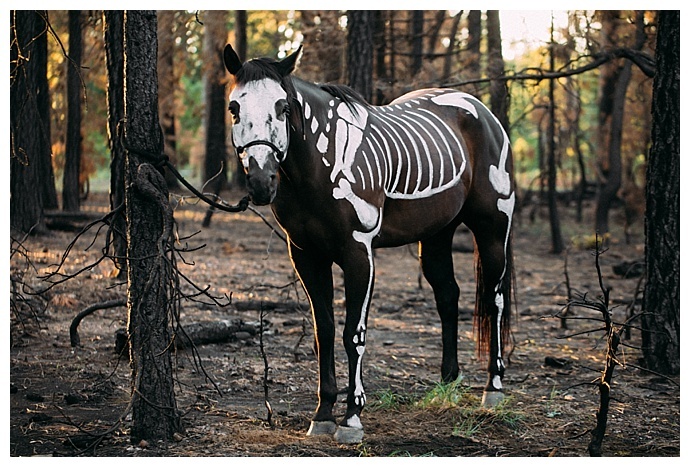 Halloween is a holiday for creatives! 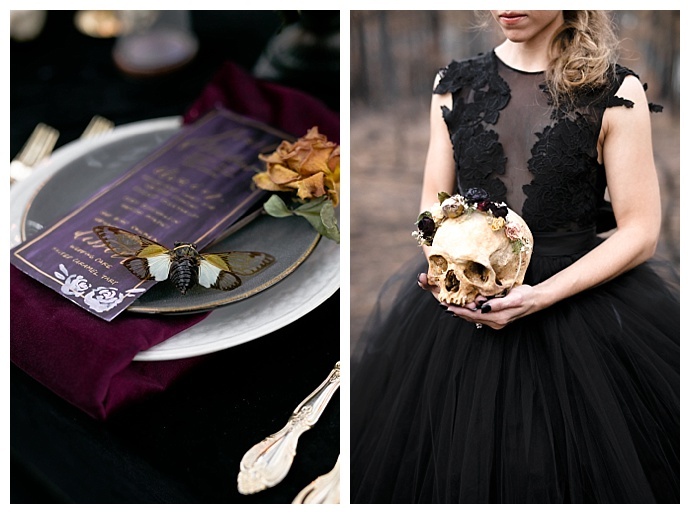 Whenever this time of year rolls around, we’re always excited to see not only the festive decor and creative costumes that people come up with to celebrate All Hallows’ Eve, but also the way wedding pros pull out all the stops for Halloween inspired styled shoots! 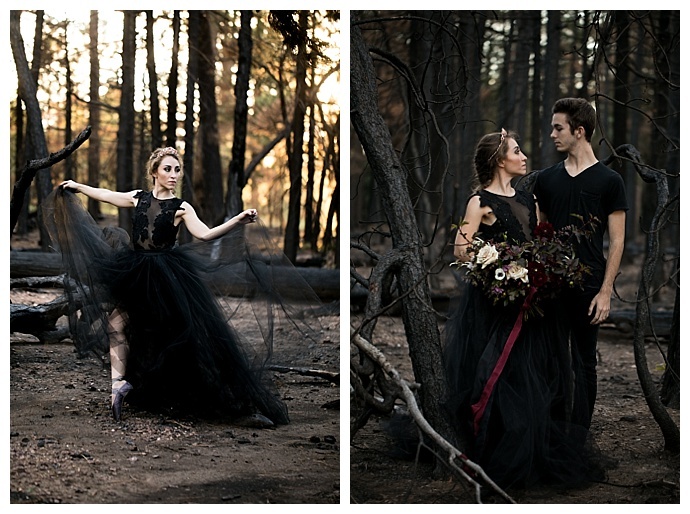 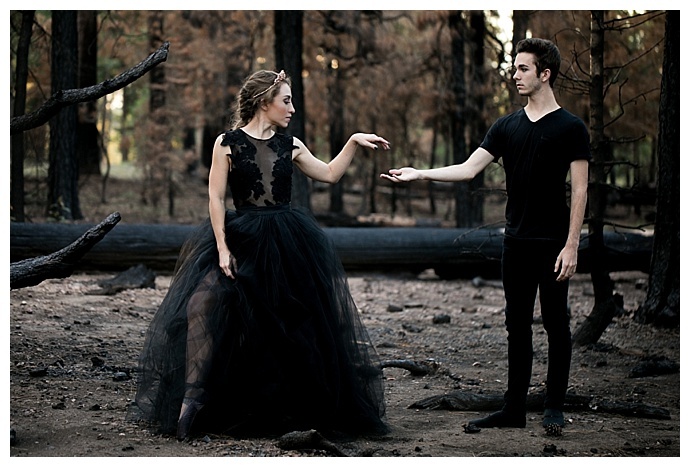 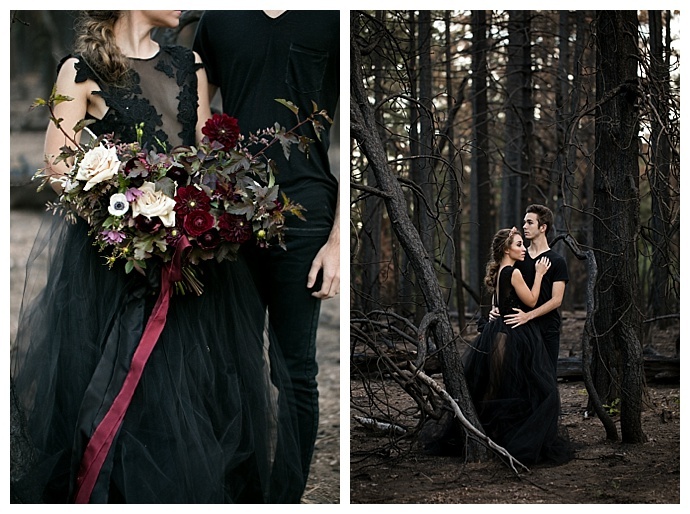 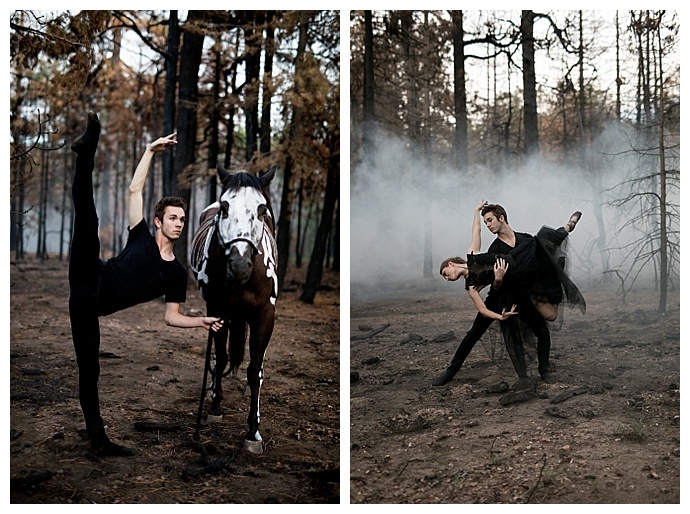 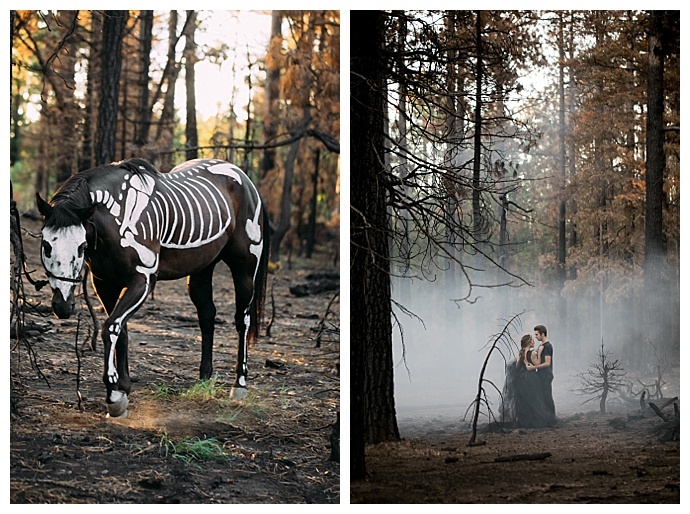 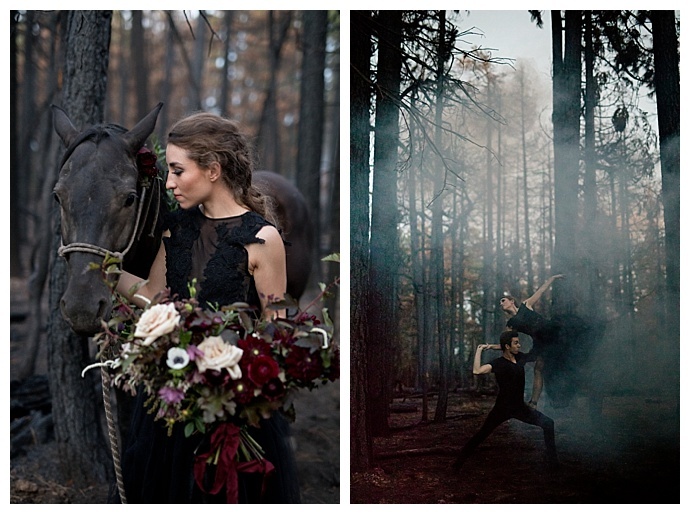 Today’s forbidden elopement in a woodsy wonderland is no exception. 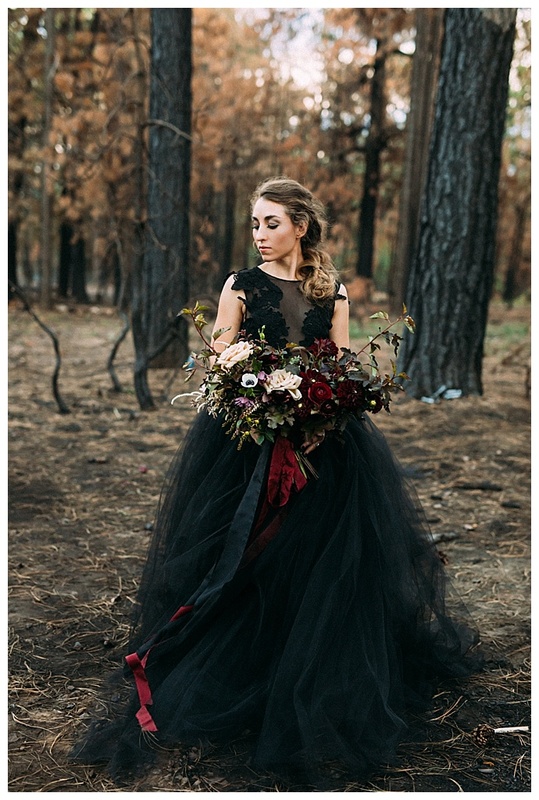 A breathtaking black gown with a beautiful tulle skirt and a striking bouquet featuring pops of burgundy blooms set the tone for this moody jewel-toned inspiration shoot. 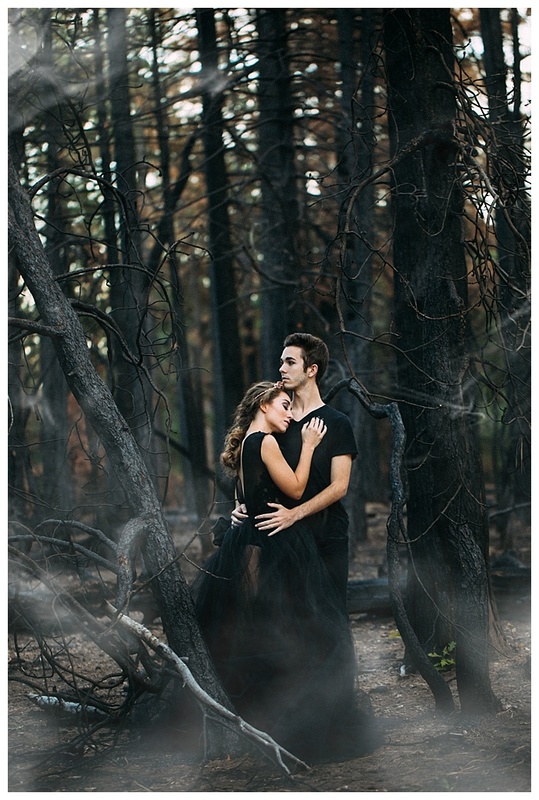 But that’s only the beginning! 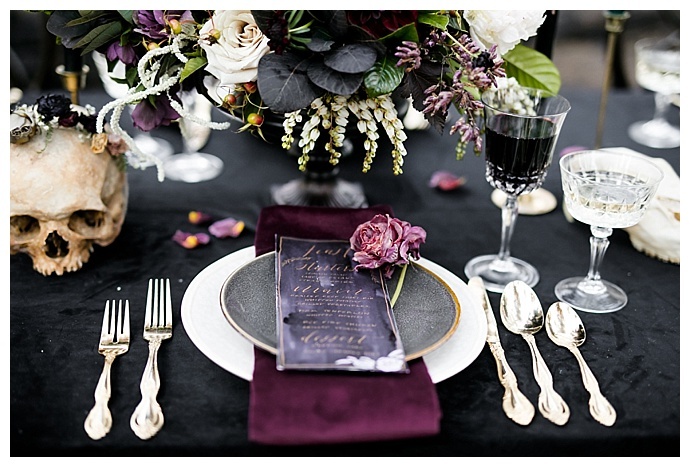 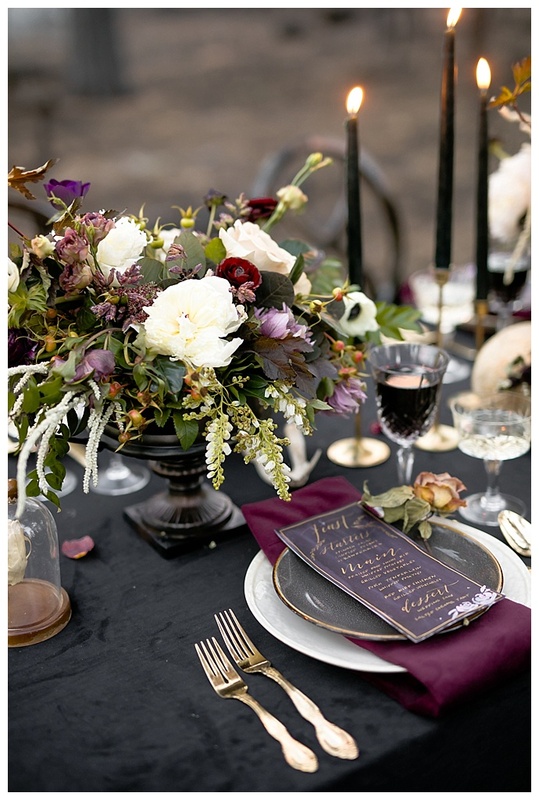 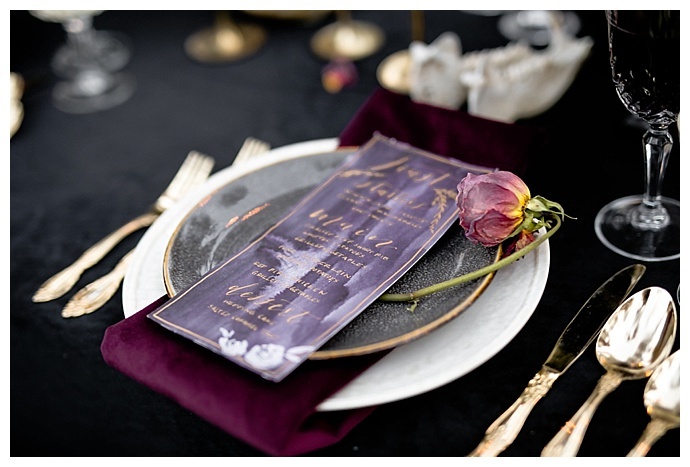 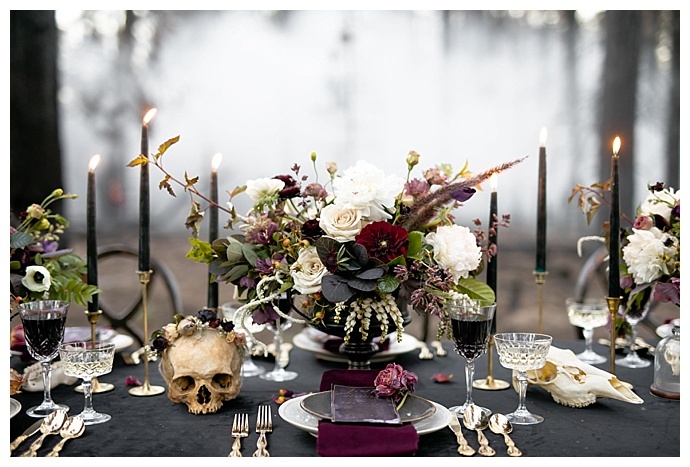 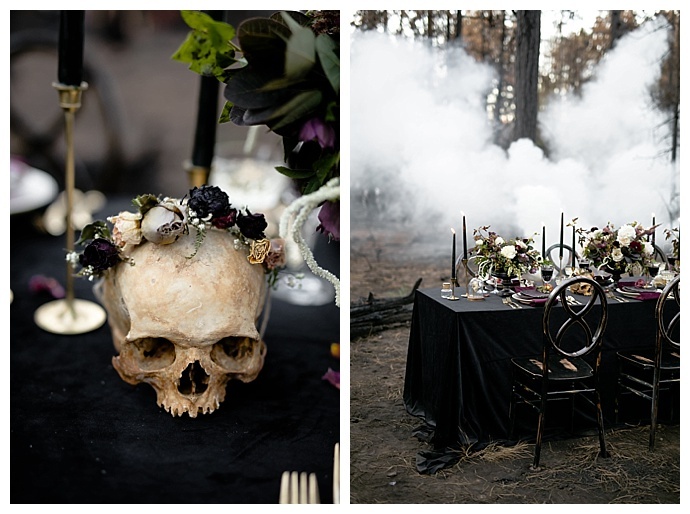 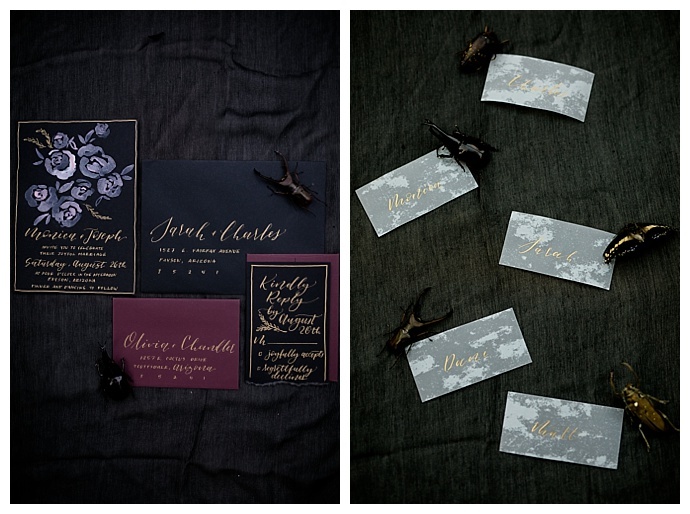 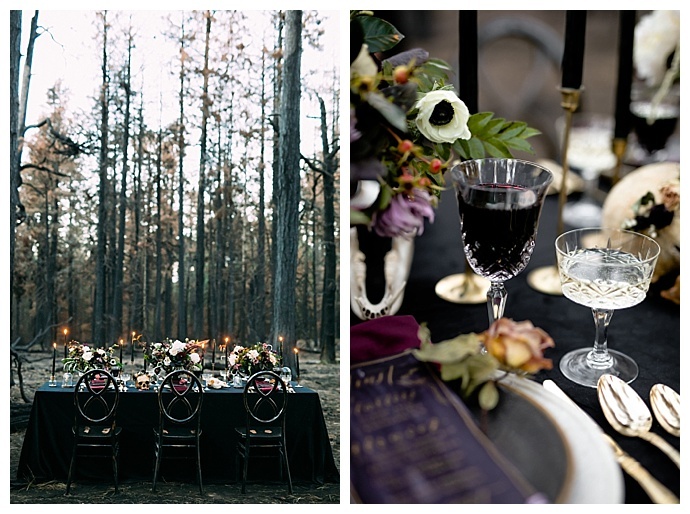 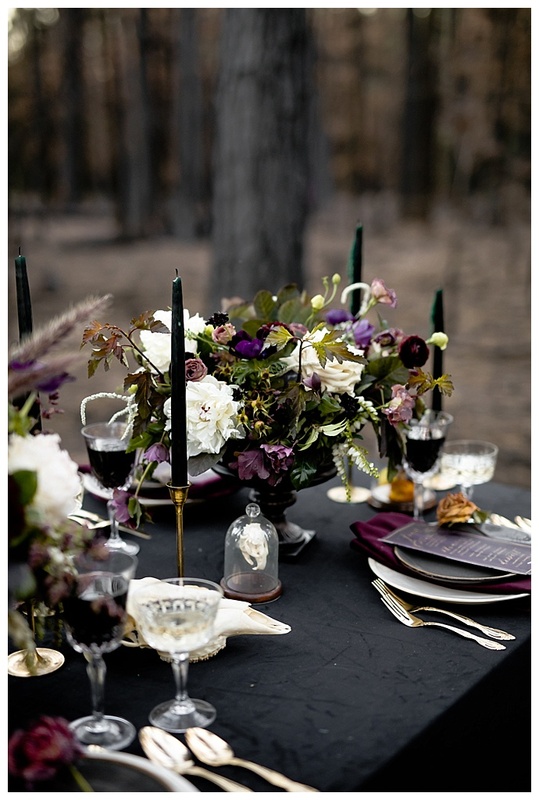 The luxe tablescape peppered with skull details, dark taper candles and more moody florals, although inspired by Halloween, is suitable for a soiree any time of the year. 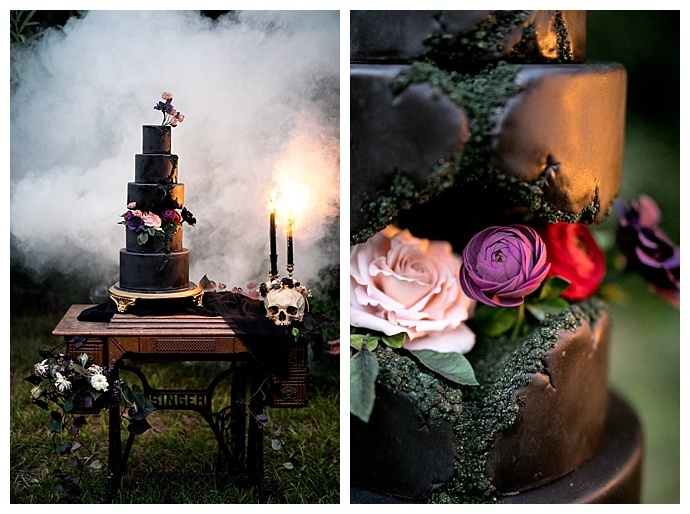 Some of our favorite details in this stunning shoot are the painted horse and the five-tier cracked wedding cake that is the thing of dreams, which features a cascade of edible moss and brightly colored sugar flowers. 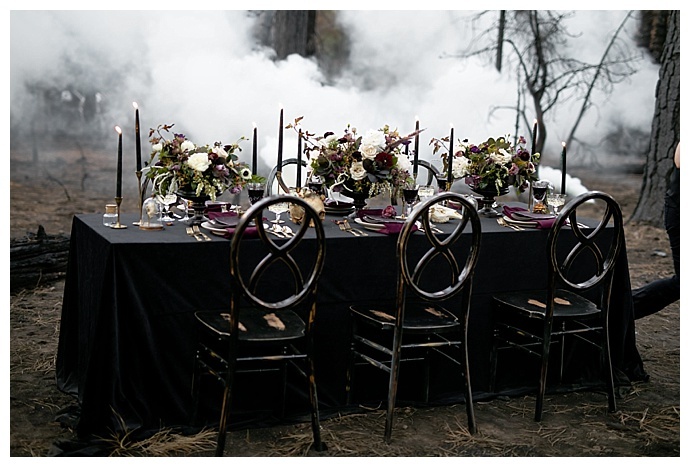 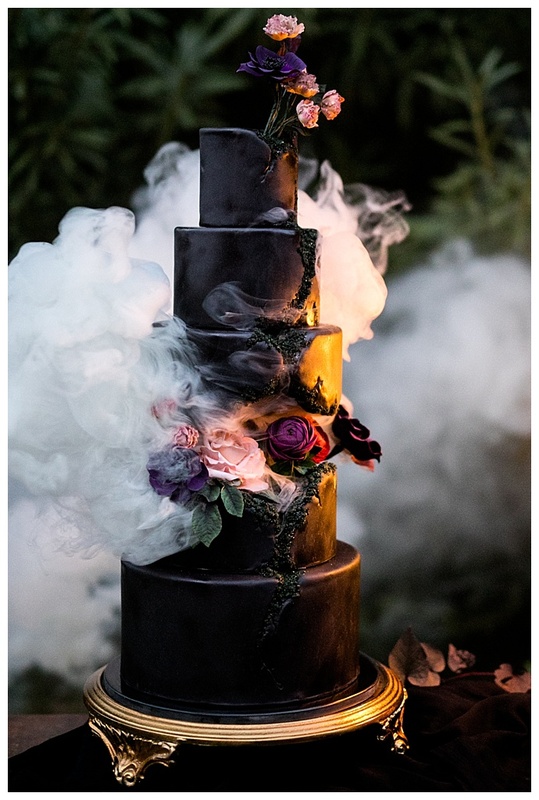 For a final, mystical touch, a layer of fog coursed through the woods around the tablescape and surrounded the bride and groom, who stole a moment for a romantic dance between the leafless trees. 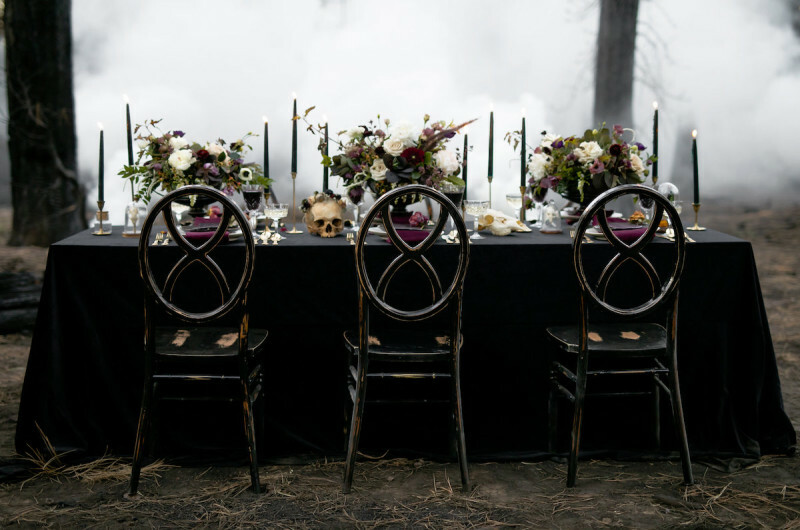 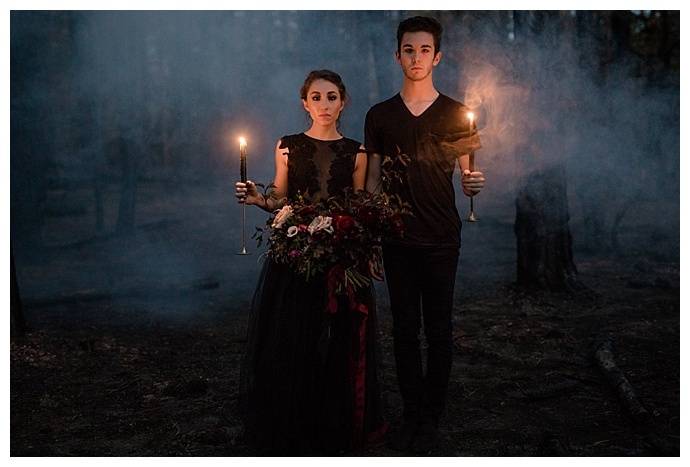 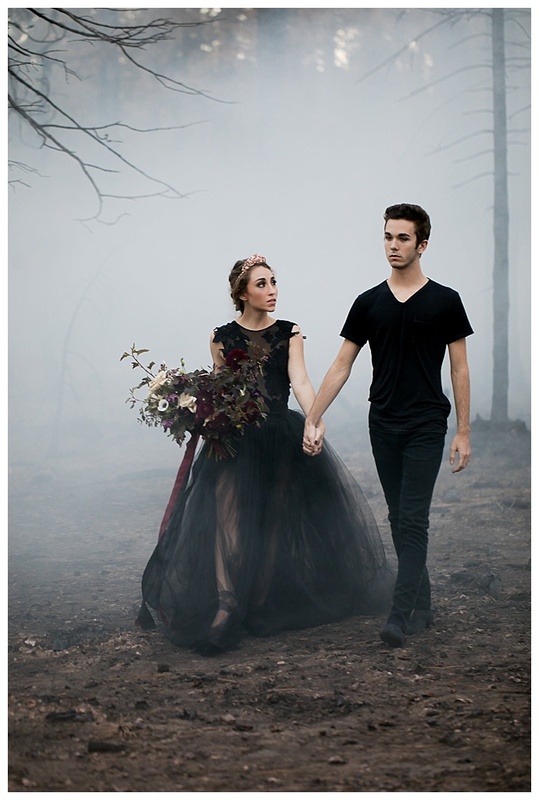 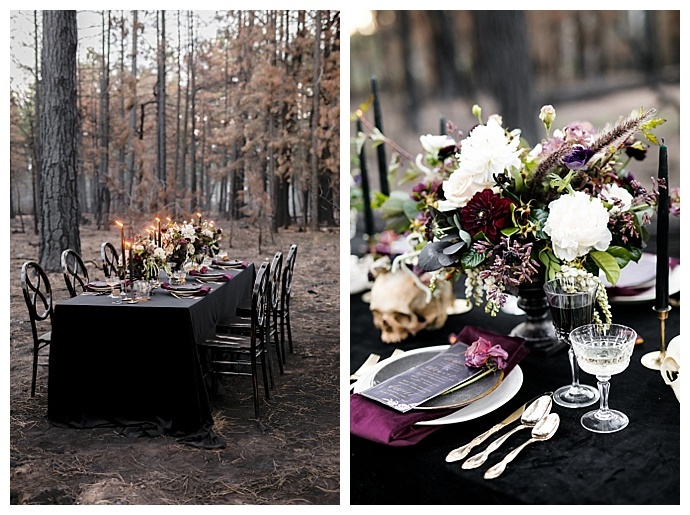 With images captured by Ashley Rae Photography and video captured by Love Story Films, this utterly romantic, moody styled shoot is making our Halloween-loving hearts sing. 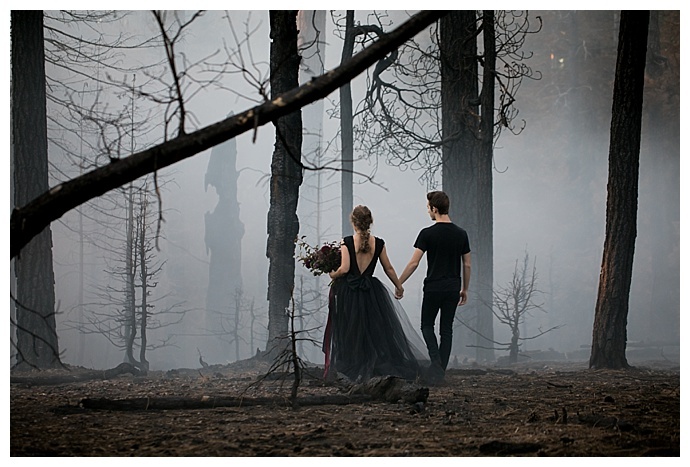 A Forbidden Elopement from Love Story Films on Vimeo.